If you have a great stock broker who you want to reward for their hard work, it takes a great gift to do so. There are many different types of gifts for stock brokers and financial analysts but few carry the weight and momentum that these do. They are the 'creme de la creme' of the stock market gifts, and they are easy to find when you know where to look. 1. Wall Street Bull Statue. This is the penultimate gift for a stock broker. It's so ingrained in the culture of finance that it is hard to believe that anything else but this gift is the best. Since you can't unseat it as anything but the number one stock broker gift, it pays dividends to follow suit and give this to your broker. If they already have a couple of these, it makes sense to look elsewhere for some other intriguing ideas that might score big returns with your investment advisor. So, we'll give you a few more to consider. 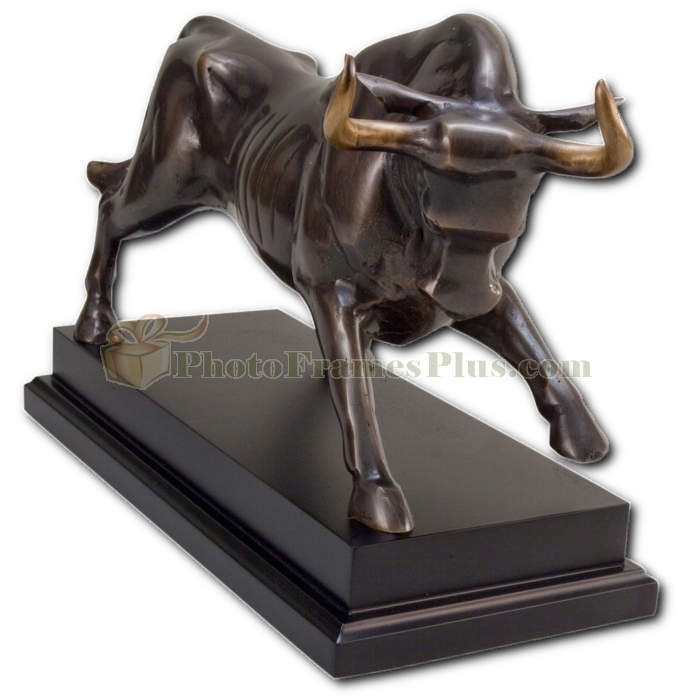 2. Business Card Holders with Wall Street bull and bear symbols are another classic and something your broker might not have. Simple, elegant but useful, they'll earn a healthy return of thanks and appreciation. These items are easy to engrave as well. You can add your broker's name, or firm's name. Give this to your new stock brokers as gifts with your investment house name on them. It's a great promotional item as well. 3. Cigar Cutters, Ashtrays and Humidors. What broker doesn't appreciate a good cigar after a great day trading stocks? You'll find an array of cigar accessories that make excellent stock broker gifts. From Gold layered cigar cutters, to cedar lined humidors, this is a classic gift that is not Bull or Bear themed but is always appreciated. Just don't buy them a single cigar, this is a traditional gift given to brokers after companies let them go! 4. Wall Decor is another great idea for a stock broker gift. Since they are working so hard, they may not have time to decorate their office. Give them a unique historic map of Paris, from Authentic Models, or a world map trimmed in gold foil and hand painted. These are elegant gifts your broker will really appreciate. There are gifts for stock brokers out there like airplane models, desk globes, plaques and other feature items. The above suit most any broker and client, or firm to broker gift giving situation. Take a look at all of our great gifts on our website today. Remember, we are always available to complete corporate orders and large volume orders at a discounted price.